Nineteen times platinum in the U.S. alone, Rumours is one of the best-selling albums of all time. This Diamond Award winning, Grammy "Album Of The Year" masterpiece includes the hits "Dreams," "Go Your Own Way" and "You Make Loving Fun." All original artwork and packaging. This record was exceptionally recorded to begin with, and now with a remastering job from the original analog masters by the team of Kevin Gray and Steve Hoffman at AcousTech Mastering - look out!! This becomes one hot reissue! This audiophile deluxe version is pressed on two 180-gram LPs cut at 45 RPM (pressed at Pallas). It is packaged in a paper-wrapped Stoughton gatefold jacket with two-panel insert. Customer Reviews (4.41 Stars) 37 person(s) rated this product. I agree with the previous review. The recording sounds muddy. It is like the master tape was recorded without Dolby and played back with Dolby. I also have the 33 RPM version, which sounds fantastic! Perhaps my copy is defective as well. The first disc is fairly quiet, but the second disc has a lot of surface noise. Gold Dust Woman sounds like an old 78. The 33 RPM version is far superior in my opinion. I do not understand the rave reviews with exception that this is a wonderful album musically, but this 45 rpm reissue sound so bad I guess my copy may be faulty. It is extremely mellow sounding, muffled, dark, compressed etc like someone put a blanket over the speakers. I tried different VTA's, and other settings but nothing makes these copies sound great, far from it. Org press show how it should sound, great, as this album deserves. Perhaps others had the same issues as I that some of these pressings are faulty? I am always on the look out for reviews about superior sounding vinyl pressings. In that process this version of the Rumours album came up. I use the Audio Technica AT-LP120 turntable and I recently upgraded my Cartridge to the Vessel A3SE. I wanted to get another high quality LP to use as a test for the cartridge performance. So I ordered this album. So very glad I did. I own a decent selection of high quality LPs including some of the Mobile Fidelity Sound lab including the very expensive Ultra Disc 1 Step releases. 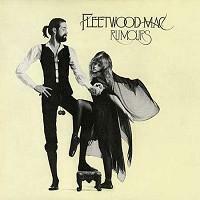 I must say this copy of the Rumours stands up well to the best of them. I am so impressed. I had a friend who has and very high end system and a good ear have a listen and after he listened for awhile he just smiled and said “WOW that sounds fantastic”. Love this album, everything sounds so clear and distinct and natural. Highly recommend this copy. You will not regret buying it. And it will impress you and all who have the good fortune to hear it. As usual, Acoustic Sounds delivers a great product. The pressing I received was stellar. Best sounding Rumours I've heard. No problems at all. I was never a fan of this era of Fleetwood Mac. When I first heard this album I thought there was too much of a pop sound. I was more into bands like Led Zeppelin and Black Sabbath at the time. Now in 2014 listening to this on vinyl, on this specific version I am blown away by the layers of sound and the terrific song writing. This is such a beautifully crafted double LP. From the artwork to the vinyl it's all perfect. This deserves every 5 star review it receives. Since this is a limited edition I would buy this version before it's too late. Yes, I believe that this is a MUST HAVE in the 21st century! The fidelity is OUTSTANDING and will blow your mind if you, like me, have had this recoding over the years in every format...even the 8-track cartridge. "The first three tracks are too fast": Well, this must be a problem with a hand full of pressings because I did not find that to be the case with my copy...but mine is a high serial number so...maybe that's not an issue anymore. 45 RPM Version of Rumours is Awesome. This version of the venerable sophomore release of the Buckingham-Nicks iteration of Fleetwood Mac is by far the best available. Prior to adding this version to my library, my original 1975 pressing, which I picked up in 1975, was the best that I had heard. At 45 RPM the dynamic range of this recording is quite astounding and the 3 dimensionality of the soundstate is incredible. Very much worth picking up if you are into Fleetwood Mac in any incarnation. I was 10 years old when this album was released. My parents bought the 8-track and we wore that thing out. I've had the cd for years - sounded just fine. However, after listening to this pressing, the cd pales in comparison. When you know an album as I do this one, and you hear detail that you've never heard before, it's like hearing it for the first time. Buy it, listen by yourself (at first) and enjoy! I am not a huge fleetwood mac fan but, I do enjoy them. I mainly purchased this record based on the reviews here. This record is very high quality. I was very impressed with it. It sounds great. One of the best sounding records I have had the pleasure to listen to. I own the Nautalus half-speed master from the 70's and owned the SACD. This one is the best sounding by far. The SACD doens't sound any different from a standard CD and has inferior sound compared. The Natalus recording is competent and sound better. T his new one has more high frequency detail as well as a tighter and more defined bass line. I would recommend to any Fleetwood Mac fan. You will hear the music anew. I read all the reviews, how anyone thinks this pressing if flawed? ?- the detail that comes out compared to digital is stunning. It has a nice tonal balance on my system. The sound quality is astonishing on what is an already brilliantly sounding album. Renowned for its production, this twin 45 copy just sends it stratospheric. I don't need to say anything about the music, I'm sure anyone reading this knows all about that, which stands up well, without question. Go and get it.........if there's any left! Great quality pressing with mastering that made me feel like I was listening to this album for the first time. Outstanding! I had purchased the 33 1/3 remastered Rumours LP while I waited for my 45 rpm backorder. The 33 was quite impressive but the 45 was incredible. Sounds like it was recorded yesterday. Highly recommended. Having listened to the 45 rpm issue upon release I thought it sounded great. I was troubled to read two reviewers subsequently claiming side one was mastered at the wrong speed. I compared the 45 rpm issue with the original US pressing. the Nautilus Superdisc, a Japanese pressing, and a UK special boxed edition from HMV. And instead of my ears, I used my guitar. While most of the album was recorded approximately 35 cents above A = 440, EVERY ONE OF THE RECORDS LISTED ABOVE PLAY AT THE SAME PITCH, WHICH MEANS THE 45 RPM ISSUE WAS MASTERED AT THE CORRECT SPEED, and, to say the least, does not sound like Alvin and the Chipmunks, as one reviewer hyperbolically commented. To be fair, I understand there is a dubious 45 rpm pressing that came out of Eastern Europe; I do NOT know if that pressing has a problem and whether it was that pressing they reviewed. I can assure anyone reading this, however, that Side 1 of the U.S. Pressing was NOT mastered at the wrong speed. 45 RPM - Oh Yeah! Not as good as originals. Not as good as originals I have(5 different matrix). Heavy handed EQ & bass boost stalled the flow of music. This Sonic Transfer Is Unbelievable !!! And they said vinyl was dead ! I dont know how they pulled this one off, but the vinyl transfer is absolutely STUNNING !!! With approx 4200 pressed at 45 rpm this is a must buy! once this is gone A LOT of people are gonna be sorry! The sonics are in your face incredible! Can anyone out there hear? Out of all these stellar reviews, it's interesting (disturbing? )that only one person noticed the speed issue. Yes, the sound of this 45 is excellent, and I'm not sorry I bought it, but I am very disappointed that the first 3 songs on side 1 (which some may argue are the best) were mastered entirely at the wrong speed. They realized their mistake by the time they got around to "Don't Stop" and "Go Your Own Way," but were obviously too cheap to go back and fix the initial error on the first 3 tracks. As a paying customer expecting the best, I was not impressed. I guess they figured nobody would notice. Well, it looks like nobody did--except myself and Mr. Jingles. Kudos to you bud. If you like Alvin and The Chipmunks, you'll love the first three tracks, folks. Not an audiofile, big fleetwood mac fan. Greatly anticipated the 45rpm Rumors. I thought the tracks with bass and drums sounded like a bad mix. "Never Going Back Again" and "Songbird" with just vocals and one instrument sounded incredible. If you read the history of the original recording this may explain the trouble they had remastering the tracks with drums and bass. Still well worth the $$ if you are a fan. Briefly, I am going to be one that says that there are a couple of songs on my original that come off musically more satisfying. Other than that, the 45rpm reissue is quite superior. The reissue is more resolved, richer, and it's buttery smooth, with more air, extension and far more soundstage depth, and greater large scale dynamics. The original has a bit more immediacy and urgency while the soundstage is more upfront. This benefits "Second Hand News" and even "Dreams." On the former, the rhythm guitar presses the rhythm more, and the backbeat of the snare snaps more in your face, pushing the insistence of the song more forward. The rhythmic backbeat of the snare on "Dreams" also propels that song more along better, to me, than the reissue. On the other hand, the resolution, dynamics, depth and complete relaxation of the soundstage makes songs such as "Go Your Own Way" and "The Chain" MUCH better on the reissue, really showcasing the interplay between McVie and Fleetwood. Only one other person has noticed this so far, but the version of Dreams here is entirely too fast. Does that detract from this release? Maybe. Wow what can I say? It was like I had not heard this album before. The recording walks all over the CD version. This is a game changer, folks. I am now questioning the fidelity of all of my favorite records. Every great album should be released in this format. Floyd, Paul Simon, Steely Dan... don't even get me started on the Beatles. I'd go broke and be happy for it. One reviewer posted "no energy". Huh? The bass and drums leap out at you. The vocals are crystal clear and open. I think everything on this record sounds great. The 33 rpm version is no slouch either. The "Rumours" are true. This is THE one to own!!! This album has been reviewed to death, so I won't bore you with yet another review. But I will say this. If you liked the original vinyl in the 70's, then you will LOVE this version. The vinyl is dead silent, the album cover is a gatefold style that is absolutely better in every way compared to the original. Very high quality. And 'Gold Dust Woman' contains an extra 15 seconds that I never heard before. (Love Lindsay screaming in the background at the beginning). The closest I have heard is the DVD Audio, but this is warmer sounding and has a wider soundstage. For those who waited, the price has already gone up. Just get it before they're gone! This dog has no bite! Another audiophlie release praised to death, and although it sounds tonally correct, it has no energy at all. Go figure. This is not a record I would go to to show off my system, unless I intended to bore the listener to death. This cant hold a candle to the Reprise re-issues of Neil Youngs catalogue, they are sublime. The only thing this is good for is re-sale value. Amazing sound, like I never heard these folks before.. This 45rpm is a must have if you are a Fleetwood Mac fan. Just finished my first listen and this copy rocks; quiet surface, 3D sound, all the voices sound real, and the drums pop! Highly recommended! I've been waiting for this damn thing to be released for over 2 years (nice that WB doesn't seem to be in ANY kind of hurry when it comes to these releases), but I have to say, it was worth the wait. I just got the lps today and couldn't wait to hear them. So I took the wrapping off and put it on my Linn LP12 and sat back and was amazed at how clear the sound was. I've heard original mint pressings that didn't sound this good. Especially on cuts like 'Never Going Back Again', you can hear the players' fingers gliding over the guitar strings. I hope Warners will release other classic titles from their catalog (and NOT take so long to do it!). If you love this album and have a table with 45rpm capability, get this before it goes out of print. I have two copies of this LP: an original and a fine-sounding 180g import LP. My wife - who likes good sound, but is not audiophile - was skeptical that it was a good use of our dollars. After the first track she sheepishly admitted she was wrong. Where to start ... the bass is incredible in its definition and weight. You will be able to discern every subtle nuance in Fleetwood's varied drum work. Every instrument is more defined and three-dimensional in the soundstage. Things just simply stand out clearly, without drawing undue attention to themselves. The individual voices are much easier to pick out in the choruses. Another fine, fine pressing from Pallas: there is simply no record noise and you will tend to keep turning it up, it sounds so clean and distortion free. Overall, very three dimensional. There is just more information, period. Anyone who thinks that analog can not beat digital in sound quality needs to hear this stunning triumph of a record.